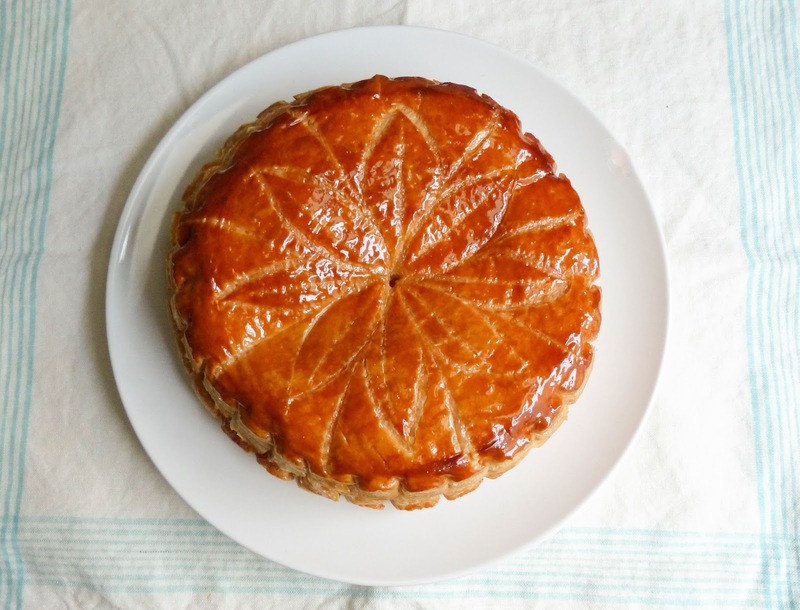 Pithiviers is a deceptively simple pastry. It's so elegant in appearance, yet consists of only two components: puff pastry and frangipane. The top of the pastry is usually scored in a fanciful pattern, and brushed with egg wash to create a shiny exterior. Traditionally, this pastry is made on January 6th, the feast of the Epiphany, when the three kings visited the baby Jesus in the manger, bringing gifts. 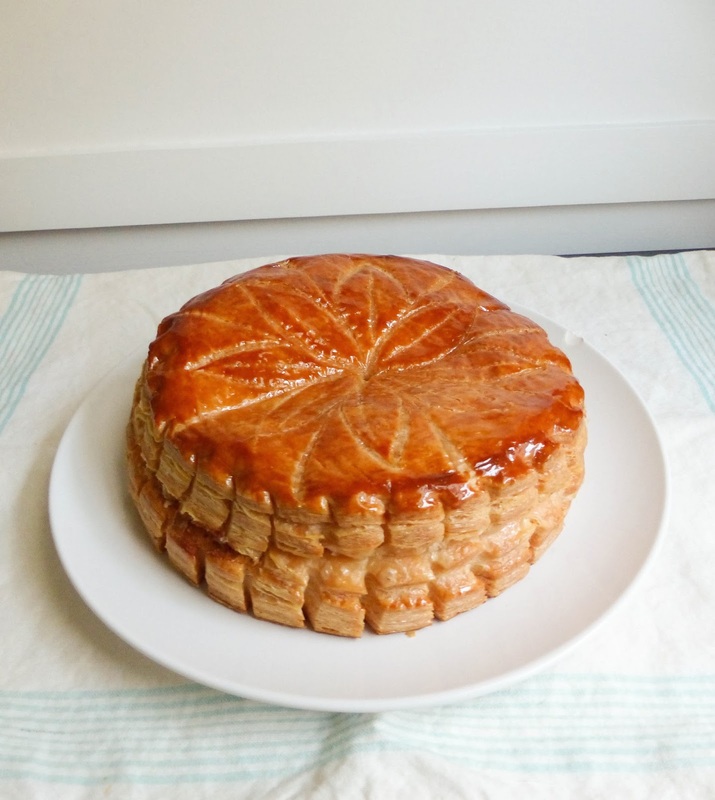 When a small bean or trinket is enclosed in the filling, it's better known as a galette des rois. Whoever gets the slice with the trinket is required to buy the next galette. Although a similar tradition exists in Louisiana around the time of Mardi Gras, the king cake is totally different from the French version. In any case, this pastry is a crowd-pleaser, elegant enough for a dinner party, but easy enough to make that it won't take you all day, especially with a little advance planning. It can be enjoyed any time of year. Another hit! This recipe was easy, quick, and delicious. I had puff pastry in the freezer, and I made the almond cream and pastry cream in advance, so all I had to do was assemble and bake. Easy peasy! It was fun scoring the floral design on top of the pastry round, and it turned out beautifully. The double egg wash worked its magic once again, leaving a golden brown shiny crust. I almost forgot to add the simple syrup until the last minute, but it was easy enough to whip up quickly. The puff pastry did indeed puff up quite a bit, making a very tall cake. The sides show all the flaky layers of dough and butter. I didn't have to bake it for the entire time, about 75 minutes total. When I cut into it, there's a distinct layer of frangipane. 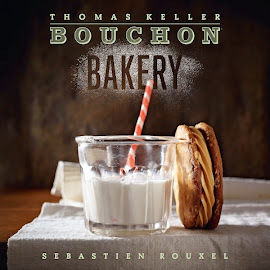 The rich buttery pastry and the creamy almond flavor complement each other well. My husband now says that puff pastry is my magic superpower. The structure of this puff pastry creation is really beautiful with the scalloped edge and the pattern on the top that becomes defined once the pithivier bakes. To simplify things, I had frozen the rounds of puff ahead and then put the tray into the fridge to thaw while I worked on the filling. I did a twist on the frangipane filling by incorporating chocolate pastry cream rather than plain. It was extra luxurious. One more note, the pithivier was 6" in diameter so the baking time was cut down by half for both temperature settings. Lovely pastry. I've never bought one so I can't compare but this version tastes great. More on my blog.